Principals of the MDC Alliance have thrown their full weight behind MDC leader Morgan Tsvangirai despite his ill-health. Tsvangirai has openly disclosed that he has cancer of the colon and has been undergoing treatment in neighboring South Africa. Last month, he was airlifted to South Africa after he had fallen critically ill, spending almost a month hospitalised before returning to Zimbabwe early October. On Wednesday last week, he was again flown to a South African hospital. Tsvangirai’s aide Eddie Cross has said the former prime minister was in excruciating pain, raising concern over his fitness to lead a coalition ahead of the make or break elections. Tsvangirai’s spokesperson Luke Tamborinyoka said yesterday Cross has neither the mandate nor the medical expertise to purport to speak authoritatively and competently about Tsvangirai’s health. “Those of us who have been in constant interaction with the president are worried stiff about the needless and unnecessary innuendos that are being thrown around concerning his health,” Tamborinyoka said. “There is absolutely no reason for anyone, let alone a senior member of the party, citing nameless and ill-informed third parties, to trigger a national alarm not based on objective facts. MDC Alliance spokesperson Welshman Ncube said they still have faith in Tsvangirai and he still remained the opposition’s best foot forward in the 2018 polls. 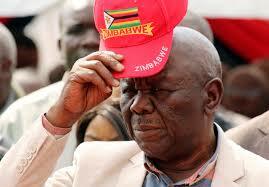 “We have consistently said that president Tsvangirai is our candidate. All the seven parties signed that he was and will be our candidate. And when we signed the agreement, we were all aware of the health situation and the treatment that he is going through,” Ncube told the Daily News yesterday. Another MDC Alliance member, People’s Democratic Party leader Tendai Biti, felt the discourse around Tsvangirai’s health was misplaced. Copyright © 2018 NewsdzeZimbabwe | All rights reserved.